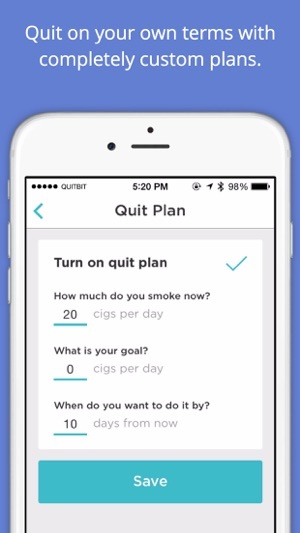 The Quitbit app tracks your smoking, allows you to visualize your trends, and empowers you to quit. This program built by smokers and ex-smokers motivates you and lets you take the proper steps to cut back or quit immediately! 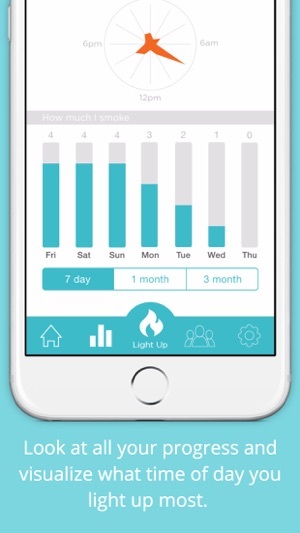 Use the app to track all your smoking and learn from your habits. 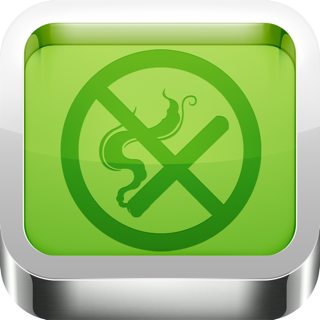 Your time since last cigarette is shown so you can challenge yourself to hold out just a bit longer. The unique spider graph tells you when you’re smoking most during the day. Figure out which of these cigarettes you’re just smoking out of routine, and cut out the ones you don’t really need. 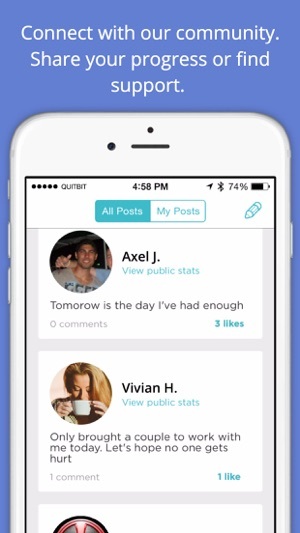 Use the history feature to celebrate your progress as you quit smoking! 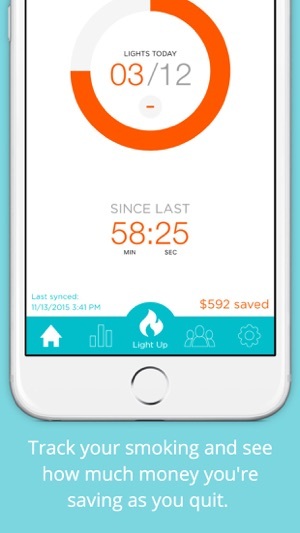 Use the app anytime you smoke, however you want. ***New calendar feature*** See your how you've been progressing to your goal over time. Awesome.. 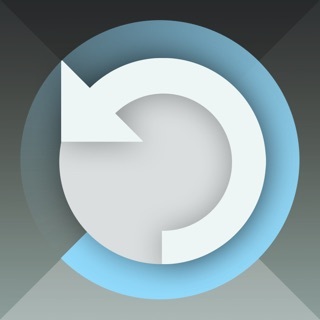 Helps me a Ton!! 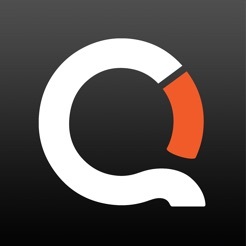 I love my new QuitBit and the app. It is fantastic. I love that it helps me to track my smoking. I actually feel guilty when I see my number of smokes climbing upwards. 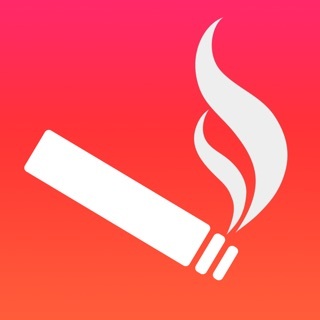 This app has totally made my quitting journey much easier. I know what time of day I smoke the most and can see days of the month that I didn't do so good. 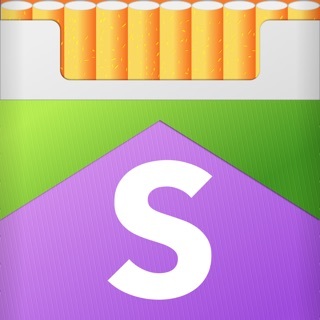 I would definitely recommend this app to anyone struggling to stop smoking.. So far so good. Community feature isn't useful in my opinion. Need an edit button for missed logs. I wrote them down in my physical pack of cigs because my phone was misplaced all night. Needed to add three to yesterday but I cannot. Kind of annoying. I love my QuitBit. I didn't realize was even smoking as much as I am. It truly has helped me realize I need to cut back. I love being able to track and set a goal.